At the moment, SpyBubble is no longer in service. The website is still up, and states that they will return. Due to many negative customer reviews, and buggy software, if they do ever relaunch, a complete testing and reviewing of the new service will be made to replace the dated, and irrelevant information below. For now, please visit other cell phone tracking software reviews for better, and active services. SpyBubble seems like a good tracking service at first glance, with a nicely designed website and a small but useful list of features. Although not as rich in functionality, it provide the most popular tracking features overall. It remains one of the most recognizable and used spy services out there, but they have very low customer retention and high list of complaints from various online reviews that stem from poor customer service, to having trouble getting their promised 60-day money back guarantee fulfilled. Another big negative is the now legally mandated notification they must show on the target device every 24 hours informing any device users of the active monitoring. Yet, you will find SpyBubble rated highly by most other review blogs. We prefer to provide you honest feedback and a truthful review to help you avoid services that don’t work well, offer poor support or don’t hold their promises. 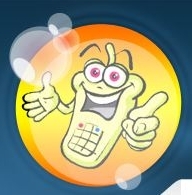 Call Logs: Calls & numbers logged with time-stamps. Email Logs: Tracks in/outbound emails, including full content, time-stamps and addresses. GPS Location Tracking: Live location tracking with routers and history available. Browsing History: Keeps logs of all websites visited on browser. Redirect SMS Messages: to alternative device if no internet connection is available on target mobile. Calendar: Access to calendar tasks & dates. Phone Book: Access to all contacts saved on phone. Instant Messaging: Full logs of SMS, WhatsApp, iMessage and BBM chat. Multimedia Access: Remote access to photos on device. Daily Notification on Target Device indicating active monitoring. Lack of specialized tools or features. Limited contact options, no displayed emails, no phone and chat never available. Outdated knowledge base and FAQ pages dating from 2010 with little information. Many complaints and negative reviews regarding service. Service is reported not to work well and be very buggy on available platforms. Support has been said to be slow and is only available by email all while being unhelpful. 60-Day Money Back refunds have been said to be slow and difficult. Symbian S60 3rd Ed. Pack 1 or Pack 2 and 5th Ed. Like many other companies SpyBubble has been forced to comply with a new US law which requires all monitoring software to display a pop up at least once every 24 hours on monitored devices. This obviously makes this product less than ideal for anyone who was hoping to keep their activities secret. Maybe not secret, since that’s illegal, but at least not so in-your-face so as to render them useless. Like all other American companies, we recommend you stay away from SpyBubble. As mentioned, you are presented with very old information on the knowledgebase and FAQ pages which really do not help much. As far as support goes, no actual email is phone number is listed and the chat is reported to never be online. The only way to open a ticket is with an online form. Complaints of the SpyBubble service and support complain of ineffective help that lead them to cancel. We would like to see them revamp their knowledge base, add some legitimate contact information and more support avenues. Updates to the software would also greatly improve customer satisfaction. SpyBubble offers competitive prices but not terribly much lower than competitors, however, when you compare feature list and bang for your dollar, they fall behind. Competitive apps cost the same or less for more features, making it hard for us to rank the high on value. The refund policy page contains an extensive lists of reasons why you may be denied the request of a refund, that alone it should be enough to raise a red flag and stay away completely. Premium Package: Offers all features & functions. Computer Package: Apple OS, or Windows computer desktops, laptops.